I still don’t know what to make of Goa. I’ve been there on three occasions which has not been enough for me to decide whether I like it or not. 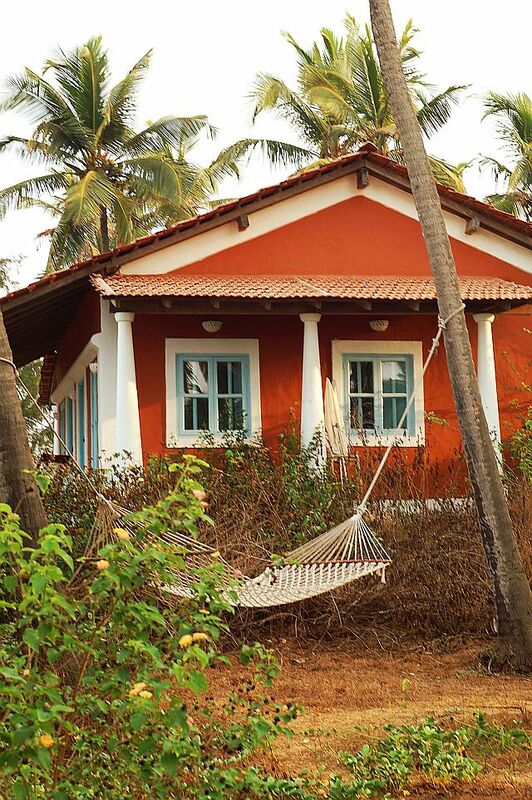 With some places it’s love at first sight – but Goa seems to take some getting to know. Maybe it’s because I’m not a beach person and Goa is mostly about beaches. I mean, I like the sea and I like the beach, but I like hills, gardens, landscapes and the countryside more. 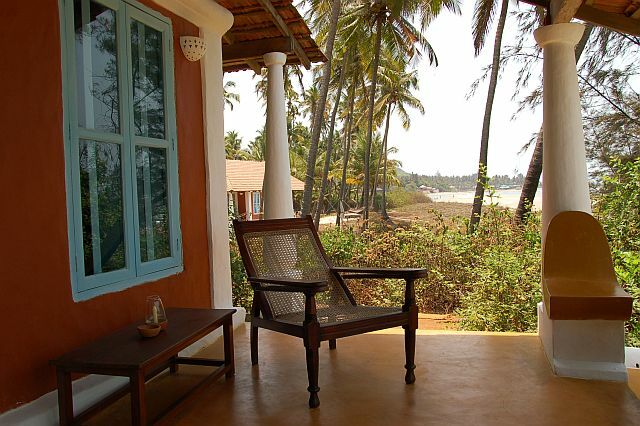 Of course Goa has all that too, which makes it a very beautiful state to visit. However, the commercialism of the tourist industry has unfortunately disfigured a lot of it. This has been the sorry fate of many, many places around the world. Perhaps I was born in the wrong time. I should have been born in the 40s which would have made me a 60s flower child. I could have taken a magic bus from Europe across Central Asia to India and eventually to Goa when it was surely a paradise. All this said, if you have a camera you can create a beautiful world. Looking through the narrow scope of the viewfinder you can capture the most beautiful images you come across, leaving all the scum at the periphery completely out of the picture. 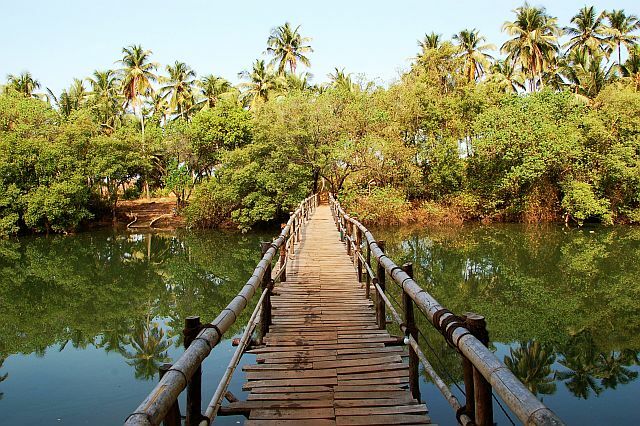 While in Goa I did come across empty beaches and enchanted gardens. I did have many moments of beauty. I’m sharing some of these moments I captured here. 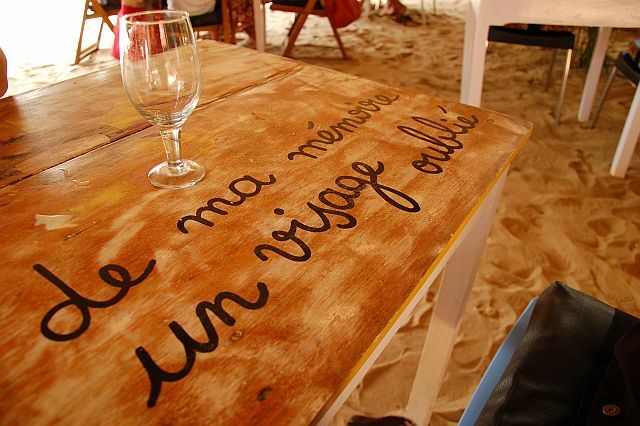 Oooh, lovely, it looks like you stayed at the Elsewhere beach houses. I love these photos, I was in Goa 30 years ago and it was beautiful. I am returning next year for a short holiday and I am excited and hopeful that it hasn't changed too much! Yes, Sharell you're right! Where else but Elsewhere? Thanks Anon. I think you will notice some changes after 30 years. 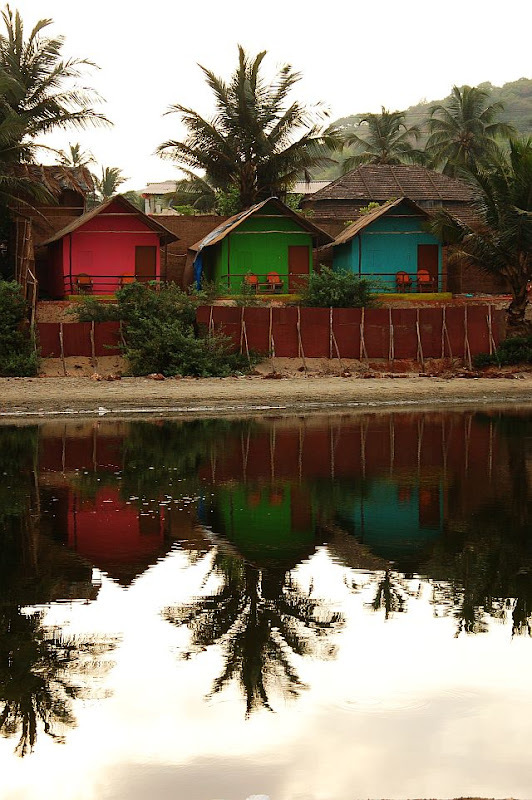 Lovely pics of the 'other' Goa! Beautiful clicks! 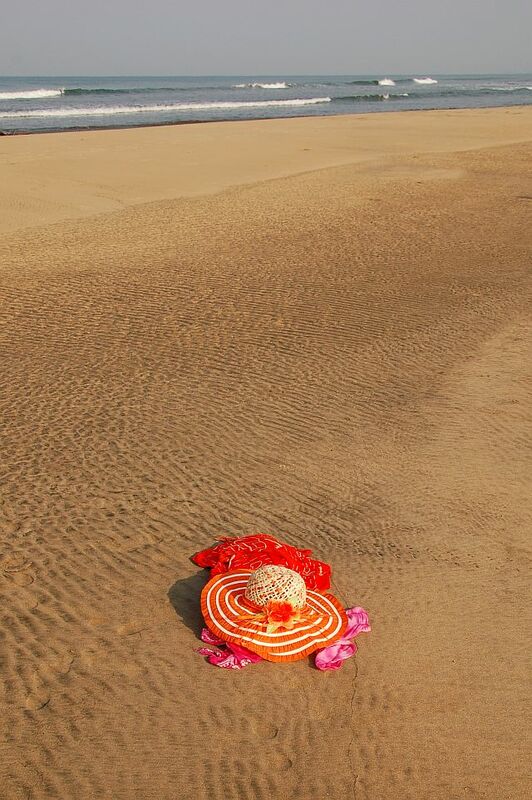 Love the picture of the hat on the beach! The hat on the beach is my favourite too! I just happened to come across it... its owner was having a morning dip in the sea. Nice pictures you have clicked. I have been to Goa twice, but not very recently. I feel that there is so much more to see and explore in this amazing place other than beaches. 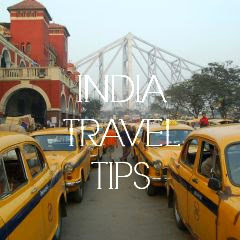 I explored a lot there on my rented Honda Activa. It was fun, so relaxing. Goan cuisine is also very nice, I relished it. Loved the picture of the cottages. So colorful! 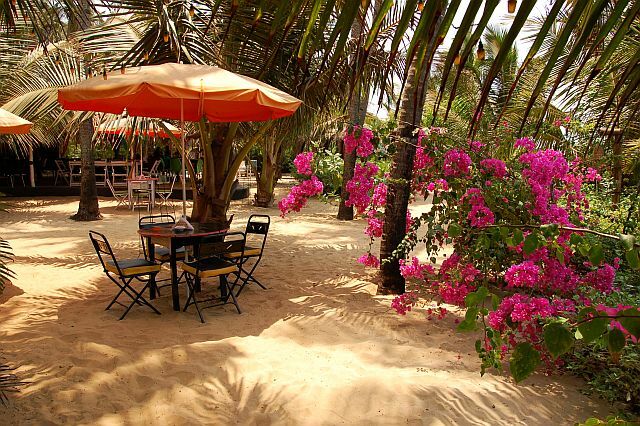 I admit Goa may not be as attractive, at first sight, as other places in India. But as Portuguese writer José Cardodo Pires said: "A primeira vista é para os cegos!" 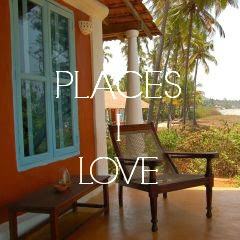 I love Goa. Made a Doctorate on its literature. 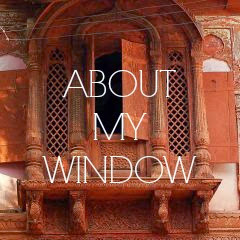 Made a blog too. Evandro, Google Translate tells me that Pires' quote translates as: "The first view is to the blind". I like that. That's why three visits to Goa are not enough! Google Translator got it right this time! You took my words - "Perhaps I was born in the wrong time. I should have been born in the 40s which would have made me a 60s flower child. 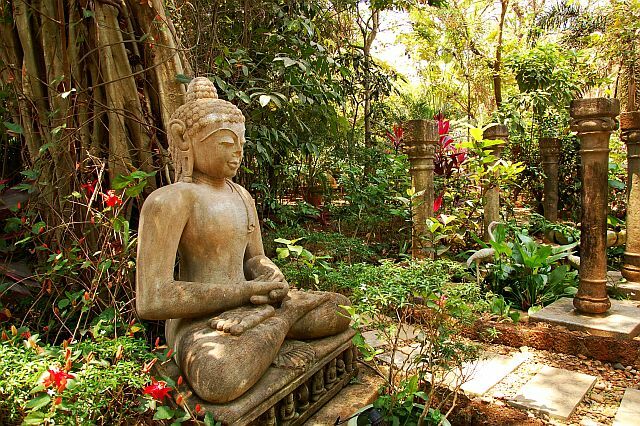 I could have taken a magic bus from Europe across Central Asia to India and eventually to Goa when it was surely a paradise. " I sure wish this could be true for me too.. This not the story of just Goa, it is the story of most Indian states. On top of that, the administrative corruption makes it much worse because the cities or tourist spots are not actually refurbished as regularly.